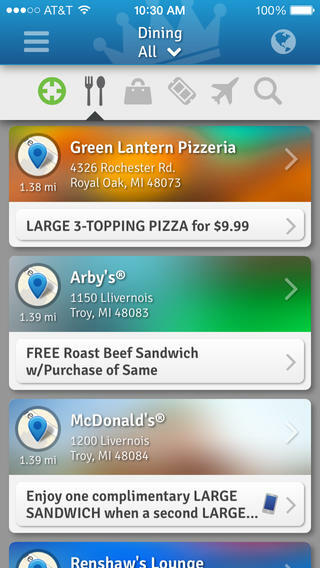 Easily find great savings from businesses near your current location. 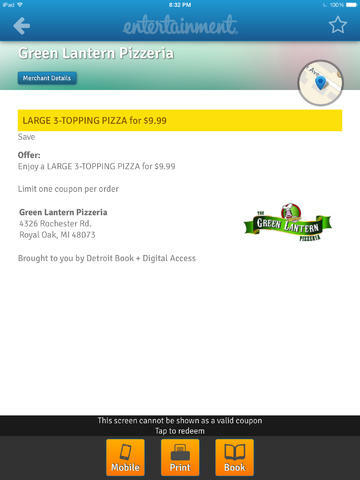 Use a mobile coupon to immediately enjoy your savings by simply showing your iPad, iPhone or iPod touch. Find out how to receive each discount – depending on your membership, the discount could be in our coupon book, available by printing it from our website, showing a membership card, and simply by showing your iPad, iPhone or iPod touch. Search by location, category and name. See merchants and their related savings on a map. 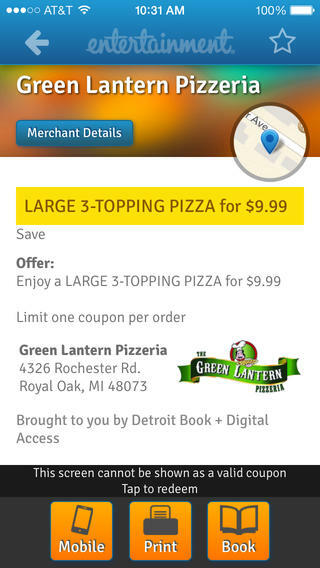 View info about each business including locations, offers available, phone number and more. 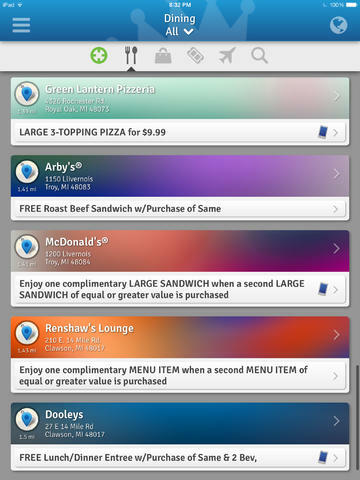 Create a “saved offers” list for easy reference. So, what are you waiting for? 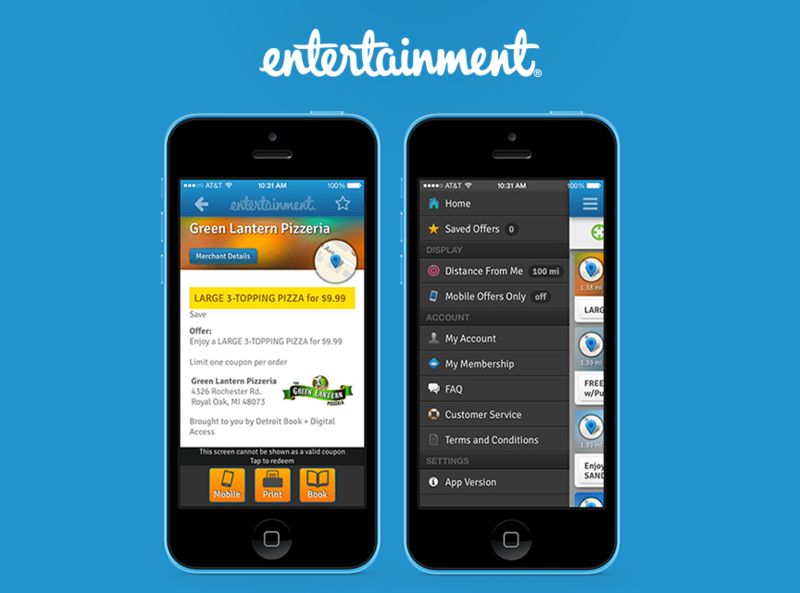 Download our app today and “Go Mobile And Save™” with Entertainment!